How Analytics can Empower the Human Resource Process? “The goal is to turn data into information, and information into insight” - Carly Fiorina, CEO of Hewlett-Packard HP. For a human resource business organization, the information is considered as the oil and analytics as the combustion engine. In today’s workplace, especially in the human resource sector, analytics can play a significant role in identifying transformational opportunities and analyzing the impact of those transformational opportunities in the business set up. It is observed by the market leaders like SAP that human resource analytics can truly be a catalyzing force in identifying and prioritizing the opportunities and evaluating the interventions in the business workplace. Let us make it precise. HR is an information-driven setup, where information plays and undermines everything. Human resource management deals with voluminous employee data- employee skills or abilities, academic credits, or past experiences in the field. There are a varied set of employee data that is managed under a human resource management wing on a daily basis. Thus managing this large volume of data manually can be cumbersome, strenuous and error-prone to any business. In this case, the implementation of human resource analytics in place can greatly help the business in surveying the availability of each employee in terms of work and engagement. For example, if we take the case of talent acquisition in human resource, predictive analytics can greatly help in employing the best-fit talents via dissecting their portfolio in different measures. It helps the organization, in understanding which worker, from which demographics or academic circle can merit the job handling and driving maximum output favoring the business. Also, the analytics can help to plan the employee benefits package in accordance with future result projections, transforming the human resource. So simply saying, analytics can greatly help the organization in equipping with the right talents, also plan and allocate the business budget. This article helps you in understanding the importance of HR analytics in workplaces and how analytics transforms the human resource process. Let us take the case of primal human resource challenge- the recruitment. To any business, hiring the right talents is arduous. The recruiter is always subjected to greater exertion in terms of manual handling of resumes and shortlisting the best. Flipping through thousands of resumes, make the process quite strenuous and challenging for the concerned. Manual handling of large chunks of employee data can be prone to a high degree of human errors and inefficiency. It is not mandatory that manual employee gauging always turn productive and successful. On the other hand implementation of recruitment analytic system in the business place can cut down the prolonged search of right prospects and choosing the best. Recruitment analytics not only spares the valuable time in screening the candidate resumes but also brings significant impact via speedier and smart business decisions. The insights generated through recruitment analytics can greatly help in valuing how productive an employee will be for an organization. First and foremost, the analytics help in collecting the information or employee data in the most arranged and structured format. The recruiters can collect and isolate the employee data into different parameters. Using analytics in place, the recruiters can tabulate the employee data in terms of their work experience, age, capability and so forth. Thus the employee information or employee data can be consolidated and positioned dependent on the need of the profile. Also, the human resource professional or the recruiter can mix hopeful's public information from online platforms like Twitter or Facebook to add value to their profile. This would yield better returns in terms of placing the right employees thereby improving the overall progression of the company or the business organization. However, the recruiters need to remember that overpopulating the information with superfluous traits can complicate the recruiting procedure in the business. The right or valuable information alone will not help the human resource professional in excelling or speeding their recruitment proceeding. The most important function is data cleansing from the received bunch of information. A small blunder says misleading information can skew the work output hampering the whole business at times. Therefore, the information gathered through analytics need to cleansed prior to feeding them across various models. Today, there exists several analytical models that help in identifying the overstated realities or false proclamations by the candidates. Thus analytics can transform the human resource via selecting the right contender for the job profile. 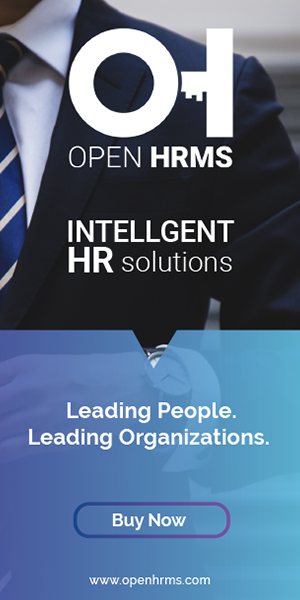 Via applying the analytical techniques, the HR professionals can truly transform employee engagement and productivity in an organization. One can truly assess whether the newly recruited contender meets the expectations of the business or has fulfilled in accomplishing the company insights. With analytics parameters like candidates’ achievements, past experiences, the HR boss or concerned would get a clear picture on whom to deploy for the work, how to utilize the employee for more productivity and returns. It helps the recruiters match the portfolio with their desired set of attributions and know if they would accept the offer laid from the company or business side. Also, it helps with the assessment of newly recruits comparing to the existing employees how they perform. The prospect’s records frequently go un-touched once after filling of the job post. Analytics in HR enables the business associations to reconnect with a potential set of contenders to decide on their choice over other accessible position in the business organization. It can likewise reflect new positions, work encounters or aptitudes that may have obtained by the competitors. Analytics opens the recruiters to a wide set of possibility in terms of extensive scope of applicants. Analytics trigger the business organization in discovering new platforms for hiring strategies thereby locating more contenders, streamlining the responses and also achieving better results. Accomplishing better reactions to the employment itself is a human resource transformation. Analytics thus helps in placing the job postings better via implementing various variables like the span of employment, job area, occupation, and industry. It makes the whole recruitment or talent acquisition proceedings specific, deriving more strategic outputs. It would additionally enable the business organizations to remain adaptable and realign with the ever-evolving business needs. Tracking or understanding employee sentiments can be considered as one of the major benefits of HR analytics. Beyond the annual surveys or conventional feedback mechanisms, predictive analytics can gauge how employee foresee the business organization or their workplace. The real-time tracking of employee opinion via mapping their work progressions, performance, and data on social profiles can determine to gauge their retention plan and motivation quotient. The data driven by analytics can thereby be strategically used for redesigning the approach toward the employee, motivating him via offering better package and training sessions, etc. Analytics can truly transform human resource by taking into consideration the upgraded forms of human resource management tactics. It significantly improves human fitness and effectiveness in the business place via correct utilization of analytics in overseeing the right talents, overseeing the employee ability, use limit, and finally their long retention in the company to achieve the company goals and objectives. The human resource management groups may feel little dubious over the implementation of analytics in HR, how they going to support the everyday business undertakings. But one must understand that in order to survive in the competitive market and resolve the complex human resource challenges they need to go for analytics in HR.